They may be divorced, but their working relationship is still going strong. “Flip or Flop” fans have reason to raise the roof. The popular real-estate series has been renewed for an eighth season, the show's now-divorced hosts, Christina and Tarek El Moussa, excitedly announced on social media Wednesday. “Guess who’s back?” Christina El Moussa teased in a brief video on Instagram. She answered her own question in the accompanying caption. Tarek El Moussa matched his ex-wife’s enthusiasm in the video. “I know we’re been around for a really, really long time, but we are back. We’re ready to flip some houses!” he said. Audiences have already proven they're ready to watch more episodes of the show in the wake of the couple's divorce, which was finalized earlier this year. Viewership has risen 18 percent this season and 15.2 million viewers have tuned in to the show over its various airings, according to The Hollywood Reporter. Perhaps that's because in addition to having a front-row seat to all the drama that goes with house flipping (there’s a water leak! the foundation is shaky!) when the show airs on Thursday nights, audiences get an inside look at how the El Moussas are dealing with their divorce. At times, that can get awkward. Take, for example, an episode that aired in late May, in which Tarek El Moussa had to delay work to take care of a new personal relationship. 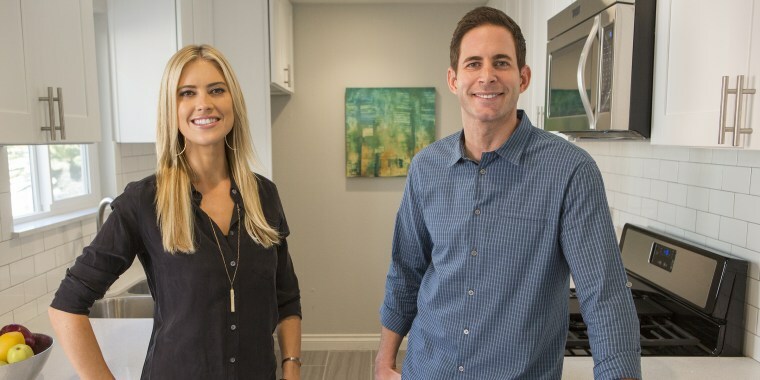 While divorce drama has been good for viewership on “Flip or Flop,” it’s also enabled the El Moussas to explore professional goals individually. Christina El Moussa's solo series, “Christina on the Coast,” is set to launch next year, while Tarek El Moussa is in talks for a show of his own.